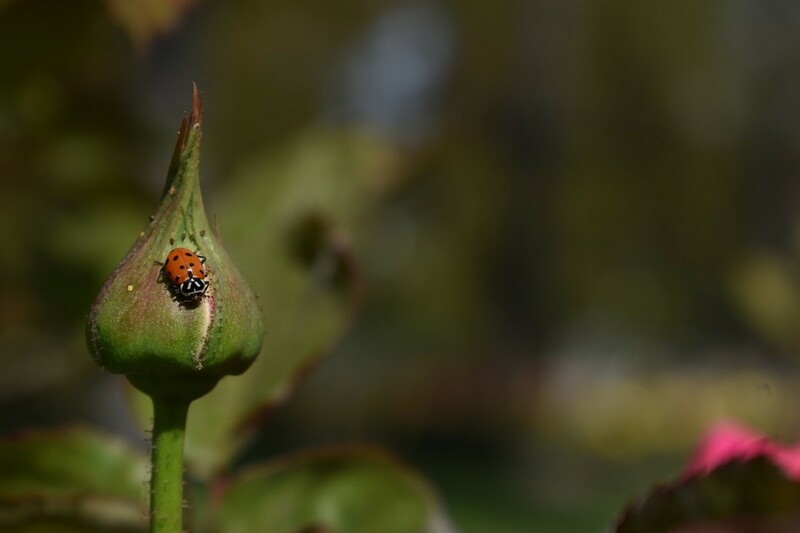 Aphids are a bane in your rose garden. They feed on new growth, leaving shriveled leaves and buds in their wake. Thankfully, getting rid of them is fairly simple. 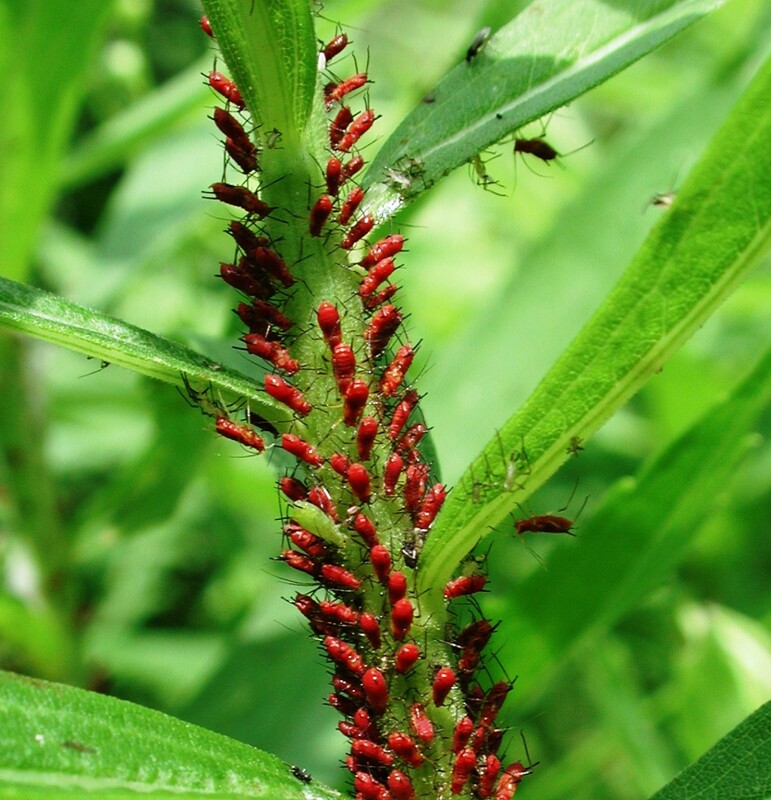 Aphids are tiny insects that are only about one quarter inch long. 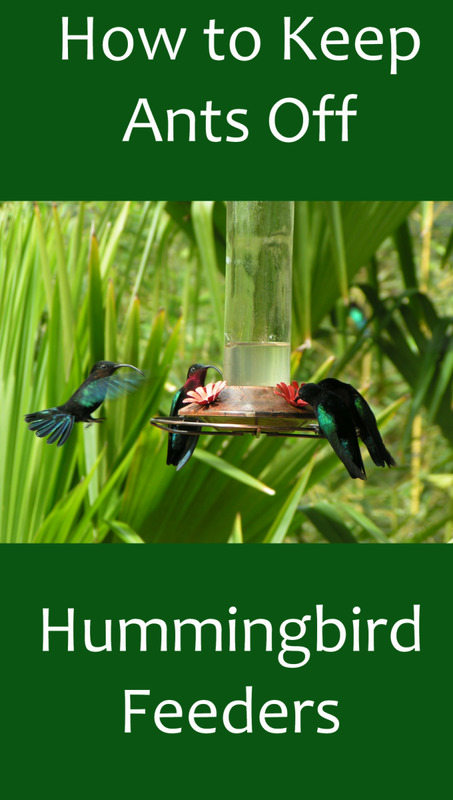 They come in a variety of colors ranging from white to green to black. Most of the aphids you see will be wingless, but if a plant gets too crowded, some of them will develop wings to fly to other plants and start new colonies. Characteristic aphid damage includes stunted or misshapen leaves, and curling or yellow leaves. If you see aphid damage but no aphids, look at the underside of the leaves. Aphids live and eat on the new growth and the undersides of mature leaves. Aphids reproduce quickly leading to many generations in a single summer. Their preferred food is the sap found in the leaves and stems of your roses. The sap is especially prevalent in new growth so aphids will start feasting on that first. Once they have sucked out all of the available sap from your rose bush, they move on to another plant. Even worse than their feeding habits is that they also spread disease. 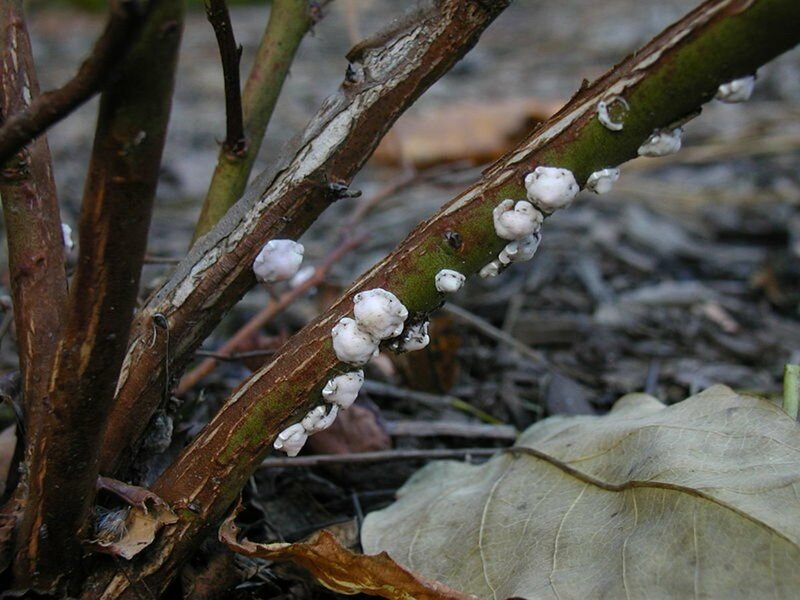 Because they feed by piercing the leaves and sucking out the sap, they transfer systemic diseases that are carried in the sap from plant to plant, possibly infecting your entire rose garden. Ants are often associated with aphid infestations. 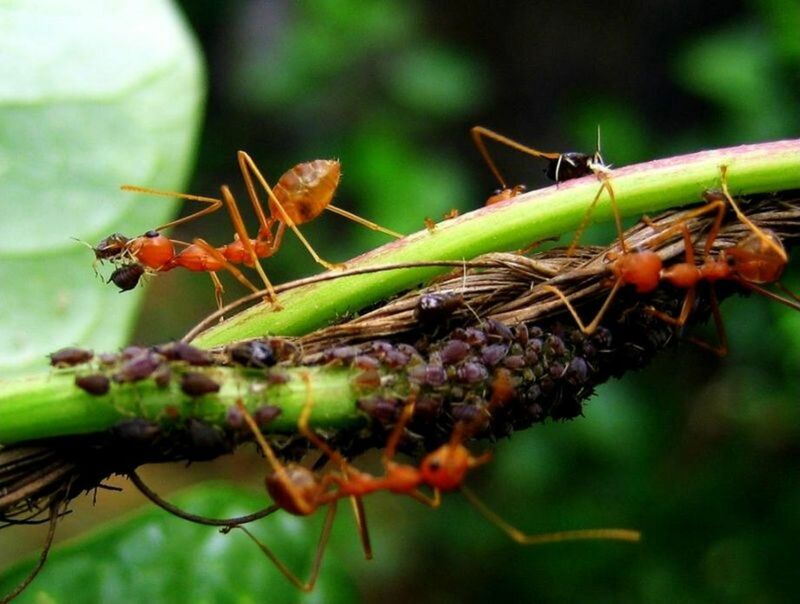 Aphids excrete a sweet liquid known as honeydew which is a favorite food for ants. Ants will, in fact, "farm" aphids by carrying them to plants to feed much as we herd animals in fields. Making sure that the aphids are well fed ensures a steady supply of honeydew for the ants. 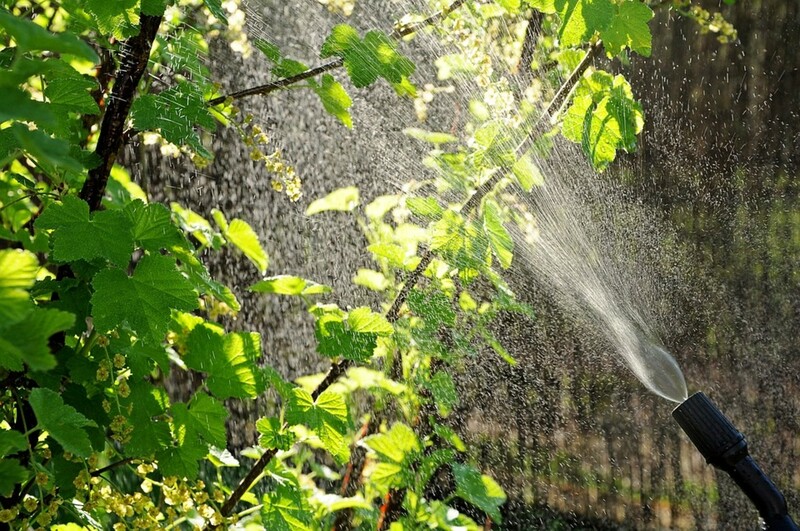 The simplest and easiest way to get rid of aphids is using your garden hose. Simply aim a concentrated stream of water at the underside of the leaves and knock them off. You will need to do this every day until you no longer see aphids on your roses. You can use a nozzle specifically designed to deliver water at a high pressure or you can just stick your thumb at the end of the hose to create a strong stream of water. Another tactic you can use if you catch the infestation early before there are too many aphids on too many leaves is to wipe the foliage with a mixture of water and a few drops of dish soap. Make sure that you wipe both the upper and lower sides of the leaves. You can use a dish cloth, paper towel or sponge to wipe your leaves. Lady bugs love aphids! It's their favorite food. If you don't already have lady bugs in your yard, you can order them online. 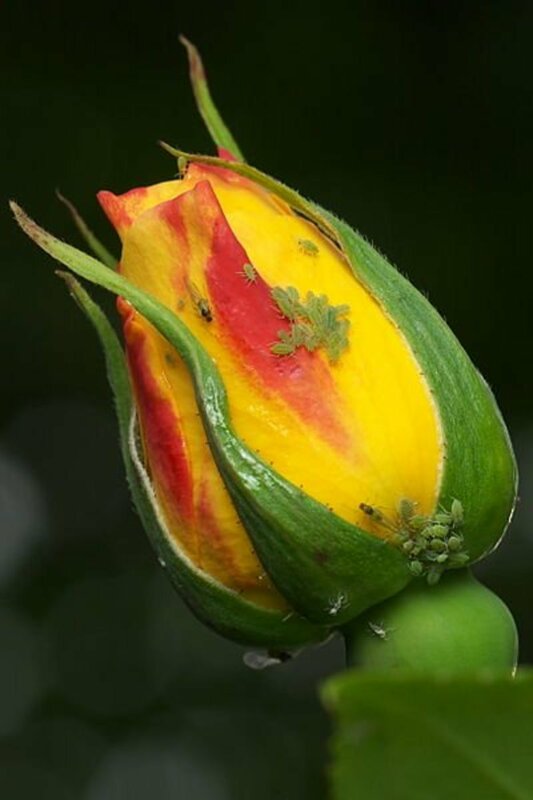 Simply release them into your rose garden and they will eat their fill of aphids. Be aware though that after they have eaten all of the aphids, the lady bugs will fly off in search of more food. 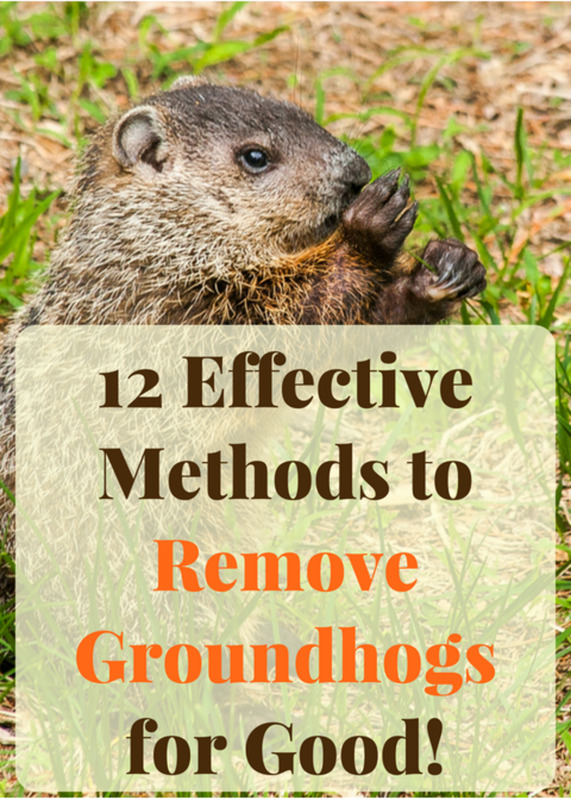 They won't stay in your yard waiting around for new food sources. Your local nursery probably carries a large selection of insecticides that work quite well in ridding your roses of aphids. The downside is that they also kill beneficial insects such as lady bugs and pollinators that you need for your vegetable garden. Use sprays that contain insecticidal soaps or horticultural oils instead. 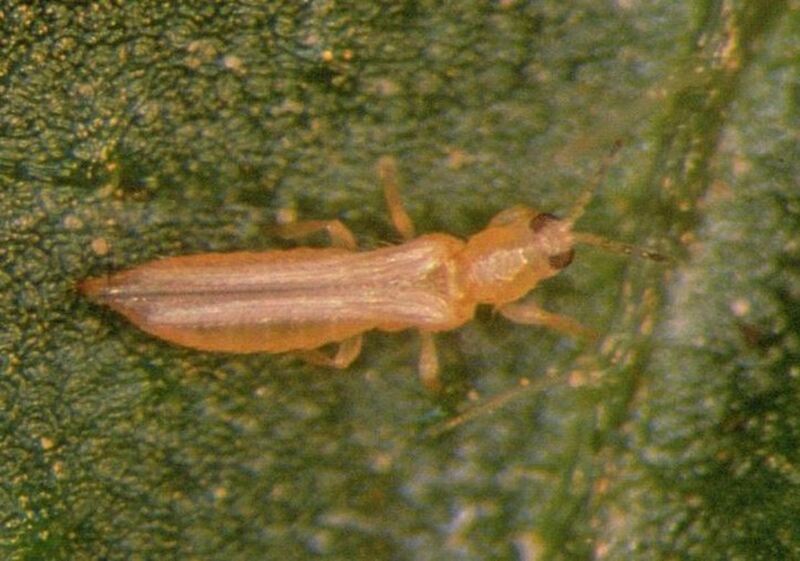 Insecticidal soaps contain potassium salt of fatty acids which react with the outer membrane of soft-bodied insects such as aphids, disrupting it and killing them. The sprays must be applied weekly (more often if it rains) to completely eliminate aphids. Horticultural oils are usually mineral oils, or occasionally vegetable oils, that coat the outside of aphids and smother them. Like insecticidal soaps, they must be applied frequently and reapplied after rain which will wash them off. Always read the labels carefully for the correct dilutions and application rates of both insecticidal soaps and horticultural oils. You can make your own sprays using ingredients you already have on hand such as liquid dish soap, rubbing alcohol, cayenne pepper and even Listerine. A quick internet search will find many different recipes. You will need to spray every 2 to 3 days until the aphids are gone. Don't forget to re-apply your spray after it rains. Be sure to spray the entire plant, not just the areas where you can see aphids. Aphids can be very destructive. Thanks to their rapid reproduction, they can quickly cover and destroy your roses both by feeding on the new growth and spreading disease. 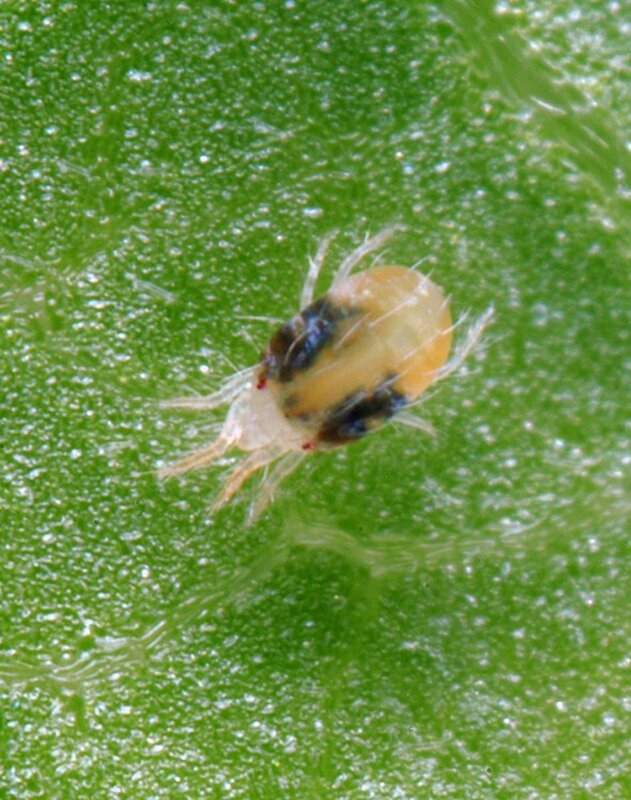 It's important to take immediate action as soon as you see aphids. Should I cut the roses back to get rid of aphids? No, the aphids will just move to another plant. Roses aren't the only plants that aphids eat. Roses should only be pruned in the spring. You need to get rid of the aphids, not the roses. Good for you! I'm not fond of squishing bugs so I rely on a hose to get rid of aphids. I've had surprisingly good luck manually removing aphids. Whenever I see a group of aphids attacking a bloom, I put on an old pair of gloves and squish the little buggers. They don't come back. Thanks, Bobbi! My passion are the heirloom roses. So many beautiful flower forms and fragrances. Thank you for reading and commenting. I love my roses and thanks for writing this hub. You have many useful hubs---I will be back to read more. Horticultural oils work best for rose slugs. By the way, they aren't actually slugs. They are the larval stage of flying insects. Hmmm...I feel another hub coming on! Thanks for reading and for the great question! Any advice on getting rid of rose slugs naturally? We've never had them before, but this year, I have a bad case of them on one bush. Dawn is sooooo useful! 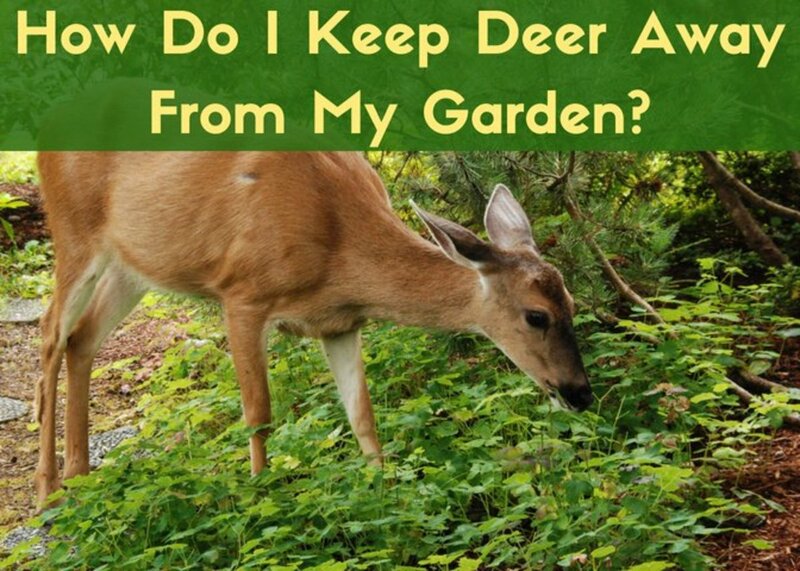 It's used to wash wildlife that get caught in oil spills and works great ridding pests from your garden. Peggy, thanks for reading and pinning. I have used a few drops of Dawn liquid in a water sprayer and found that to be effective after first hosing the plants down. As you mentioned, one must keep after them until the aphids are gone. I did not know that ants actually "farm" them! Clever creatures!!! Pinning to my gardening section. Fourish, I love the Listerine solution too! Thanks for reading and pinning. Jackie, make sure you check under the leaves. They're sneaky! Thanks for reading. Very useful. I love the Listerine solution. Voted up and pinning.